Clinton’s PRS Pads are available in a foam and felt bottom. 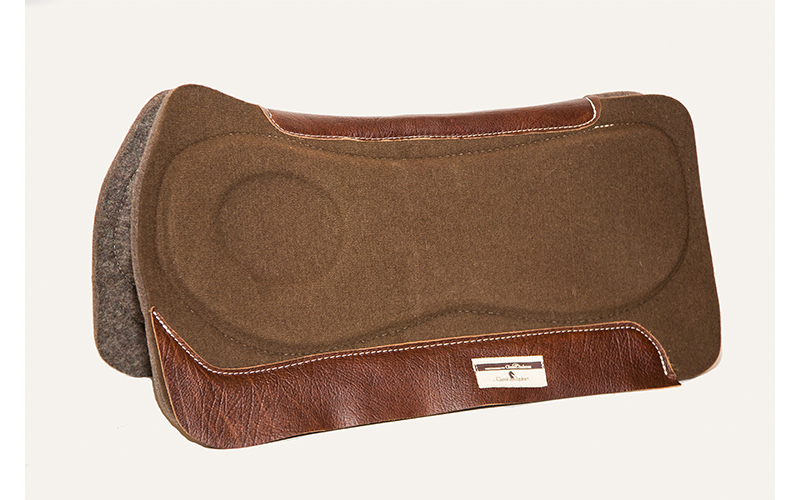 Choose a felt bottom for your horse’s comfort on long rides and the foam bottom for ease of care. With a foam bottom, you can wipe the pad with a damp cloth and it’ll be as good as new. The PRS Pad 100 Percent Felt Brown Top is available only with a felt bottom.